This great peak is situated in the Lost River Range located in the Challis National Forest. 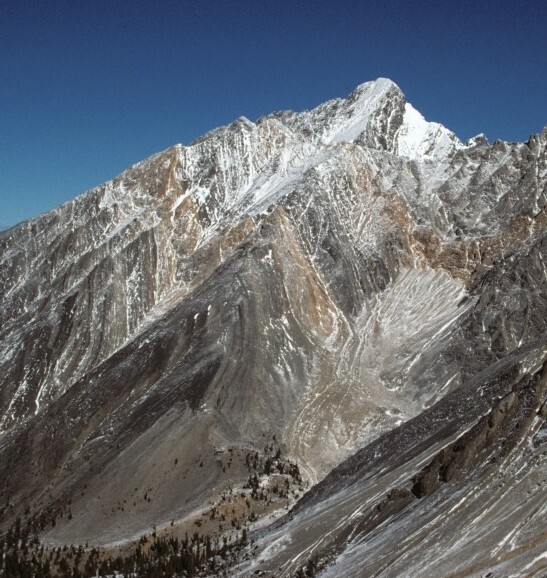 At 12,662 feet, it is Idaho’s tallest peak and is usually called “Mount Borah,” or just “Borah” by Idahoans. 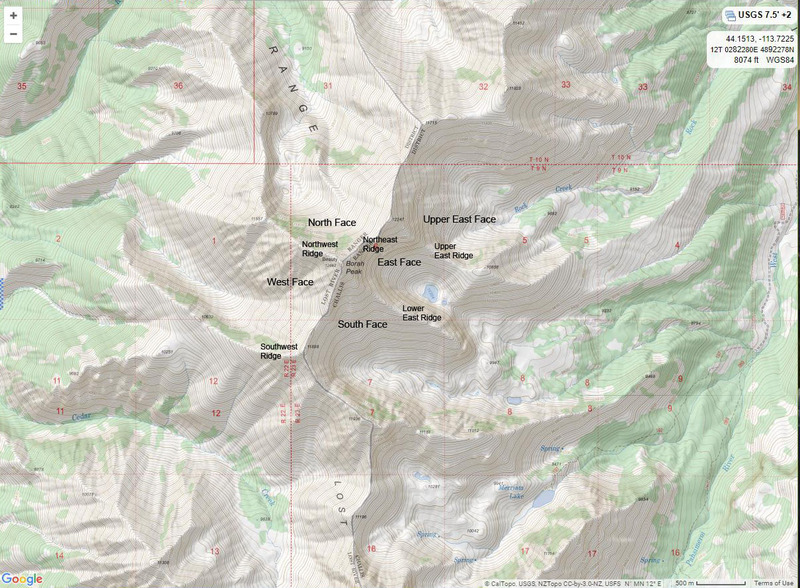 Borah is one of seven 12ers in the Lost River Range. Borah is a complex and attractive mountain with relatively good rock. Even if it was not Idaho’s highest, it would still be on my Top Ten List for best climbs in Idaho, as it offers something for every mountaineer. Thanks to its “highest peak” status, many attempt to climb it each year, all year round. 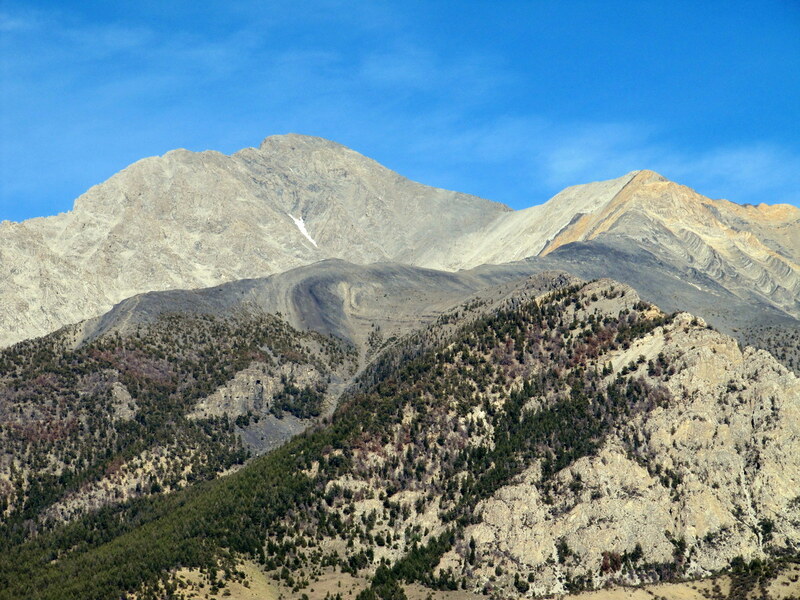 Mount Borah was officially named Borah Peak in 1929. 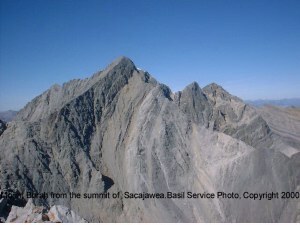 The vast majority of climbers reach the summit via Borah’s Standard, Southwest “Chicken Out” Ridge, route. 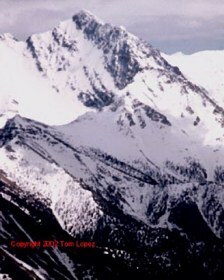 Borah is one of three peaks in Idaho (the other two are Diamond Peak and He Devil) that have 5,000 feet or more of prominence. Borah ranks number 27 of the 57 summits in the lower 48 states in this category. 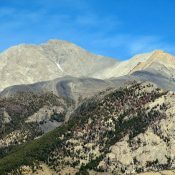 Mount Borah was named for Senator William Borah and the peak’s early history is recounted in the Mountaineering History section (starting on page 12) of Idaho – A Climbing Guide and in the Climbing History of this website. The first ascent was of Borah is credited to T.M. Bannon of the USGS in 1912. Borah has been climbed during every month of the year. The fastest times for climbing Mount Borah: Tom Borschel (2004) 1:36:13 (ascent) and 2:54:00 (car to car) and Luke Nelson (2010) 1:26:42 (ascent) and 2:21:11 (car to car). Yep, you read that right. The late Chuck Ferguson climbed the peak 25 times between 1979 and 1998. Bob Boyles has climbed Borah 30 times beginning in 1973, when he was 20. He has completed: North Face 7 times (including the first winter ascent), East Face 1 time, the Standard Route 22 times. On descent, he has down climbed the West Face, South Face, North Face and, of course, Chicken Out Ridge. The first ascent up the East Face in 1962 was completed by Lyman Dye and Wayne Boyer. Lyman Dye and his EE-DA-HOW Mountaineers climbing buddies explored every side of the mountain in the late 1950s and 1960s. 2004 was the year two additional routes were established on the challenging North Face: Psycho Therapy by Dean Lords and Brian Wood, in September, and Borah, Borah, Borah by Tim Ball, Brad Schilling, and Doug Colwell in October. Throwing anything off a mountain summit can KILL. Climbers often climb up Borah’s steep faces. Anything thrown off the summit could kill or injure them. Read this article if are not convinced: Dropped. Please do not throw anything off the summit. Borah was the home of Idaho’s last glacier. Read Bob Boyles article: The End of the Last Idaho Ice Age. East Face – Northeast Ridge Variation route page. Check out Bob Boyles’ Borah in Pictures page to see these beautiful faces and ridges! 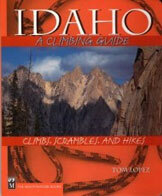 We will add routes and route pages to the online Borah Guide as we acquire climbing information. In the meantime, have you pioneered a route on Mount Borah that you would like to share with the climbing community? Please let us know here. Borah’s Southwest / Chicken Out Ridge route. There have been five fatalities on the peak. This is a low number considering the number of inexperienced climbers who attempt Borah. The climbers who died were experienced but tempted fate by challenging adverse snow or weather conditions. One person died from lightning in 1954, and another person died in a plane crash in 2005. In November 1977, two Idaho Falls climbers were swept away and killed by an avalanche on the Northwest Ridge route. And in June of 1987, a Boise climber died after a freak combination of losing control of his glissade, falling into a water-melt chute and being buried by an avalanche. Borah as seen from Mount Idaho. Borah from the summit of Sacajawea. Route: Bannon reported he climbed via Rock Creek. The exact line is unknown. Other First Ascent: North Face in winter.